Size matters when it comes to a hospital’s operational efficiency and smaller hospitals have a higher risk of inefficiency, a study has found. 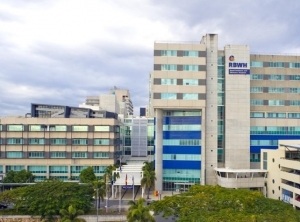 When deciding on a hospital’s optimal size, managers need to consider the clinical functions it will offer, according to researchers from The University of Queensland, Flinders University and Sunshine Coast Hospital and Health Service. UQ School of Mathematics and Physics’ Professor Jerzy Filar said the study used known data, statistical analyses and simulations of various scenarios to generate outcomes in a virtual hospital. Professor Filar said at first sight, simulations might appear much like a video hospital game. “But they are based on careful modelling of patient data and judicious extrapolation of observed trends to hypothetical hospitals, scaled by size,” he said. “The difference is that this study aims to help healthcare planners by testing how hospital efficiency relates to size, as hospitals operate under different conditions. “Due to their complex organisational structures, it would be unrealistic, costly and risky for hospitals to conduct field experiments to test the effects of any major organisational change. Flinders University senior lecturer Dr Shaowen Qin said simulation model findings suggested that smaller hospitals had a higher probability of being overcrowded, which could result in an inability to service newly arrived patients and/or provide an adequate level of treatment. She said the research suggested that large hospitals had better ability to absorb spikes in arrivals. “This may mean the provision of additional ‘surge’ capacity may be required when commissioning smaller facilities,” she said. The researchers mathematically modelled alternative scenarios including changing the mix of ambulance and walk-in arrivals, and the proportions of patients needing different forms of treatment. Dr Qin said the study replicated and extended an original study reported last year for Flinders Medical Centre in South Australia, with the latest study using mathematical modelling and computer simulations to model patient flow and waiting times in a large Queensland regional hospital, Nambour General Hospital. Findings of the study, co-authored by Tim Bogomolov, Jerzy Filar, Ruth Luscombe, Yoni Nazarathy, Shaowen Qin, Piotr Swierkowski and Ian Wood, were presented at the 22nd International Congress on Modelling and Simulation in Hobart last night.